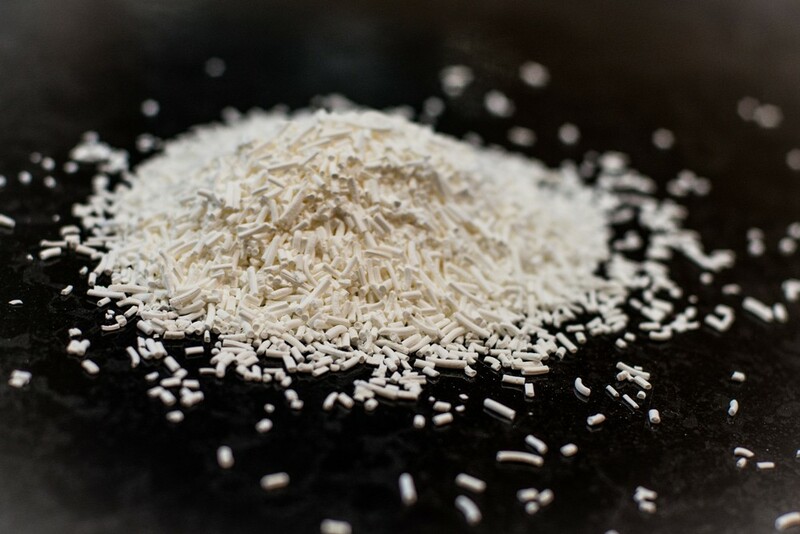 Potassium sorbate is used to inhibit molds and yeasts in many foods, such as cheese, wine, yogurt, dried meats, apple cider and baked goods. It can also be found in the ingredients list of many dried fruit products. 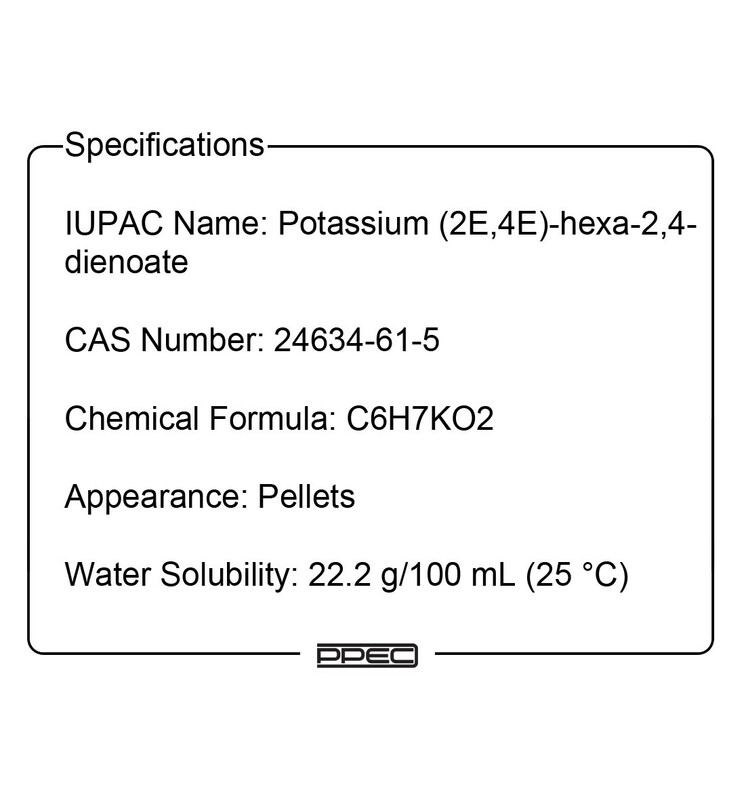 Also known as "wine stabilizer", potassium sorbate produces sorbic acid when added to wine. It serves two purposes. When active fermentation has ceased and the wine is racked for the final time after clearing, potassium sorbate will render any surviving yeast incapable of multiplying. 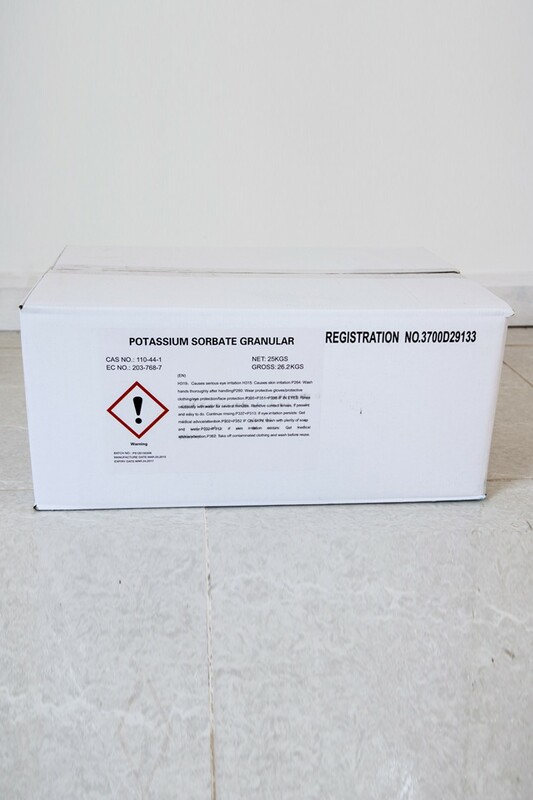 Potassium sorbate is primarily used with sweet wines, sparkling wines, and some hard ciders but may be added to table wines which exhibit difficulty in maintaining clarity after fining.